Closer cooperation of entities in the region V4 and Industry 4.0 were the main topics of the 1st Congress of Visegrad Clusters. Over 40 experts from 7 countries - representatives of business, public administration and academic circles, mainly from Poland, the Czech Republic, Slovakia and Hungary - debated for two days, among others, about financing and the most important problems related to the activity of clusters in the V4 region and their role in the reindustrialisation of the European economy. According to Artur Soboń, Deputy Minister of Investment and Development - the V4 region's economy is involving 64 million Europeans, creates a GDP of the order of one trillion euros and has a huge saturation of companies, especially from the SME sector there is a gigantic potential and it is necessary to build around it in a common chain that will bring benefits to all. 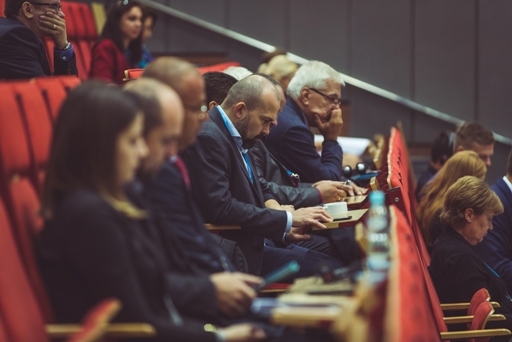 The event entitled "1st Visegrad Clusters Congress", which took place on 25-26 September this year in the Educational and Congress Centre of the Silesian University of Technology in Gliwice, was attended by over 150 people, including representatives of clusters from all over Poland and the countries of the Visegrad Group, presidents of enterprises associated in clusters, representatives of the Ministry of Enterprise and Technology and government agencies responsible for supporting and developing enterprises, but above all sympathizers and people interested in the subject of clustering. As underlined by the participants at the discussions, cooperation within clusters may redirect the region's economy towards Industry 4.0, based on innovations and new technological trends. The Visegrad Group countries have a similar economic structure and are characterised by a fairly large share of industry. In the Czech Republic it exceeds 30 per cent, in Poland and other countries it is less than 30 per cent while the average for the old EU countries is at 17 per cent. However, it is still less productive than in Western Europe. 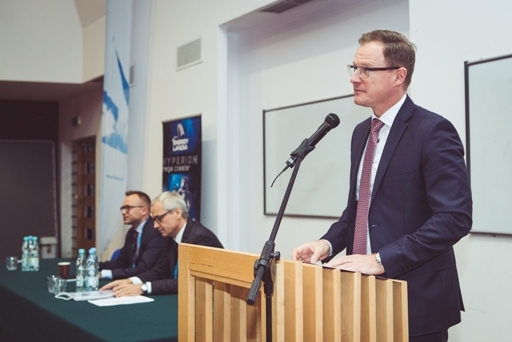 For this reason, according to Artur Soboń, Deputy Minister of Investment and Development, there is a need to redirect it to modern tracks, powered by digitization and robotization of Industry 4.0. and the role of clusters is huge in this regard. In Poland there are over 100 clusters (including 16 key clusters of strategic importance for the economy, selected through a competition organised by the Ministry of Entrepreneurship and Technology), i.e. organisations bringing together companies and scientific entities from innovative sectors of the economy in specific regions of Poland. Cooperation within a cluster allows them to carry out joint research and development work, attract investments and exchange experiences, facilitates the establishment of business contacts. The majority of Polish clusters operate in the ICT, aerospace, biotechnology, chemical industry, recycling and construction sectors. 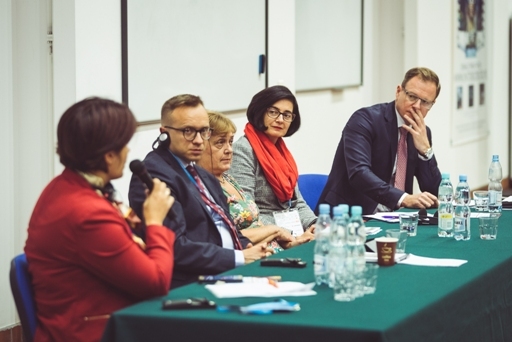 According to Krzysztof Krystowski, President of the Polish Clusters Employers' Association, the competitiveness of companies in the regions is very often connected with the so-called smart specialisation, i.e. intelligent local specialisations. Clusters are one of the tools thanks to which it is possible to support and develop such intelligent regional specialisations. We - as clusters from Poland, the Czech Republic, Slovakia and Hungary - support entrepreneurs by building both social and technical infrastructure, by supporting their investments, employee development, conducting research work, so that thanks to relations with the science community they can create new technological solutions and innovations, and thus become more competitive. Speakers representing clusters, but also Polish and foreign experts stressed the need to redefine the state policy towards the clusters of Group V4. Different methods of supporting clusters by governments and self-governments of V4 countries were presented, finding many similarities (especially among aid gaps) but also examples of "good practices" that can be shared by regional administrations. As an example of "good practices" it is worth mentioning the programme of the Czech government, which assumes support of 80 to 200 thousand Euros for start-up cluster initiatives (condition of at least 1 year of activity). Despite significant difficulties in public financing, individual clusters achieve great success in supporting their members' activities, especially by associating business with science. Energylandia, a company that successfully develops innovative activities in the field of family entertainment through close cooperation with research institutions, has been presented as a positive example. (The organizers currently prepare a report following the conference, which will include a summary of the results of the discussions during the event). Honorary Patronage over the event: Ministry of Entrepreneurship and Technology, Ministry of Investment and Development, Ministry of Science and Higher Education, Polish Agency for Enterprise Development, Polish Agency for Investment and Trade, National Centre for Research and Development, Patent Office of the Republic of Poland, National Contact Point for Research Programmes of the EU, Employers of the Republic of Poland, Honorary Patronage of the Marshal of the Silesian Voivodeship Wojciech Sałga, Honorary Patronage of the Mayor of Gliwice Zygmunt Frankiewicz. Sponsors: ENERGYLAND 2000 Sp. z o.o. Energylandia Sp.k., AM Art-Media PR Agency sp. z o.o., Cat@Net Sp. z o.o. Media patronage: Rzeczpospolita, Niezależna, Gazeta Polska, Polskie Radio 24, Super Express, Super Biznes.